The display is a 138x110 pixel 1.67" LCD screen. The iPod Mini is Apple's first iPod to come in a small-form factor and offer multiple color choices. No sound from your Mini player? Replace the headphone jack with our free repair guide! Use our troubleshooting guides (1st Gen or 2nd Gen) to determine what's wrong with your broken iPod. 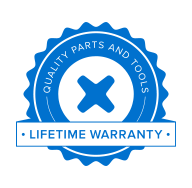 We carry parts for every repair!